Do you create network marketing videos for your business? I hope so, because they're fantastic to build rapport, generate leads and sales for your business. But do you know the difference between using Facebook videos and YouTube videos for building your business? I'm gonna explain that in that blog post right here and I'll explain how to use each type to maximise your results. Here's the free training I mentioned in the video that helped my friend become a multiple 6 figure earner, mostly from YouTube videos. Click here to get access and start making videos work for you. That's a great question, before I get onto that, I'll explain why network marketing videos are so powerful. Video has been, by far, the best marketing strategy I've used. They've led to me getting tonnes of leads, building my brand, getting my name out there and more exposure, and lots of signups … so you absolutely need to be doing them. … And these have all been from people who have searched me out. Now here's the difference between the two, and I'll be honest, I used to use them in the same way. I used to take my Facebook videos and post them to my YouTube, and I used to take Youtube videos and share them to my Facebook. That's a great start, but now I've learned that there's actually a different way to use each of them. eg. If you have 1,000 friends on Facebook, you're gonna get about 100 views almost automatically. This is because Facebook does a great job of pushing this into your friends' newsfeeds, and as they get curious and watch it, and some people comment on it, it's gonna get bumped up other peoples' newsfeeds, and they're gonna do the same. I've even had Facebook videos where I've gotten 1,000 views in a day, and I don't even have the biggest friends list! That's powerful. One of the downsides to Facebook network marketing videos is that they're only really visible for a finite time. Sure they stay on your page, but after a few days they're gonna disappear from the newsfeed, except if they go viral, which only cat videos tend to do. YouTube videos on the other hand are great for this because people can search in Google or YouTube for exactly what your video is about. There's no better type of lead than someone who has directly searched you out and come across you. Imagine, people are searching exactly for what you're doing a video on, and then they come across you… Can you see how juicy that is? Here's a training from a friend of mine (and multiple 6 figure earner) who has grown his business almost all through video. He's a master at it and will give you some great Youtube marketing tips. Grab the free training here. Facebook favours videos in the newsfeed, especially live videos. YouTube is the world's second largest search engine so people can find your content when they search for it. 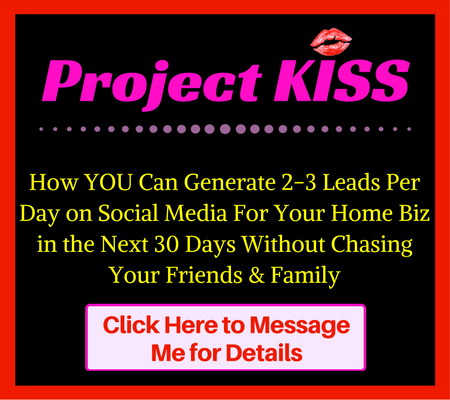 They stay out on the web working for you 24/7, allowing you to leverage. I have network marketing videos over a year old that still get me leads and sales – I call them my army of minions. Views act as good social proof. Can annotate and leave links to direct people where you want them to go. Your subscribers get notified, your YouTube channel is like your own little tribe. Will take a few months of consistent effort to get videos consistently ranking. So as you can see, both Facebook and YouTube are great platforms for publishing network marketing videos, and they both have their pros and cons. I say, why choose? I use both and I suggest you do as well. However, if you haven't done videos before, start with one platform. Being honest, Facebook is where you'll see the most immediate results because of the preference Facebook is putting on videos resulting in a larger reach. It really depends where you want to focus, immediate reach, exposure and engagement, or more long term leverage. Are Facebook MLM Videos a Waste of Time? Connect with me on Facebook here, and subscribe to my YouTube channel here. 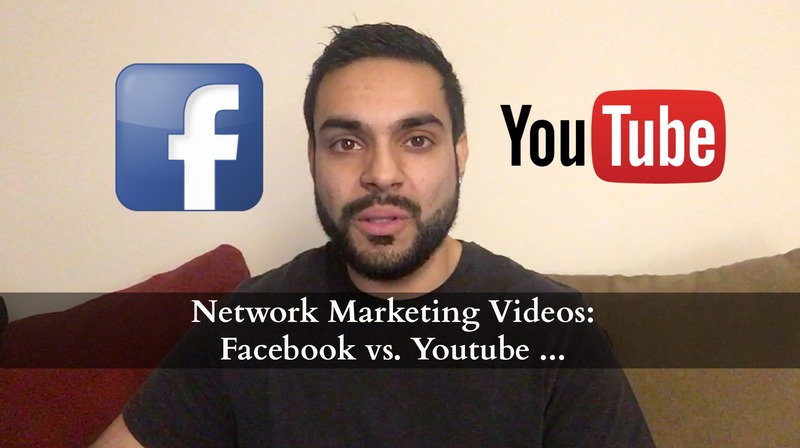 Did you get value from this post on Network Marketing Videos: Facebook vs. YouTube? If so, I'd really appreciate it if you could drop a comment below, and feel free to share this with your teams.